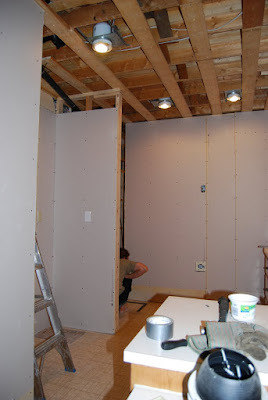 The drywall in my kitchen is going up right now! Hurray! Most of the destruction part is almost done. So now for the fun part of seeing things coming together. Now I have to get busy and choose the paint color for the walls of our bathrooms, entrance, and the kitchen. It's been such a busy summer so far, but it's been great to spend time with my brother in law, his wife and daughter. That little girl is such a cutie! I'm taking lots of pictures of course!